A simple yet fully functional product, designed to ensure your cat stays hydrated throughout the day. 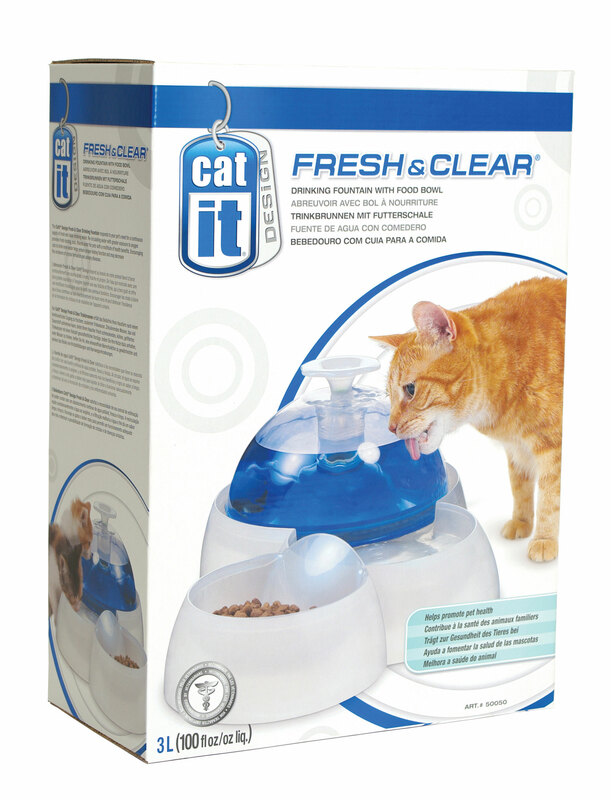 The Catit Water Fountain comprises many unique design features to encourage your cat to drink water, something that will promote healthy kidney function. The fountain incorporates an elevated design and an innovative circulation feature to prevent water becoming stagnant and stale. Ideal for all cats and small dogs, providing a continual source of fresh, cool and filtered water. Below are some recent questions we've received regarding Catit Cat Water Fountain, including answers from our team. Is this product powered by electricity or battery powered? The Hagen Water Fountain needs to be plugged into a power outlet in the house. It uses less than 4 watts, which is less power than a night light.